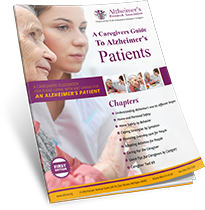 The Alzheimer’s Research Association (ALZRA) is a 501(c)(3) nonprofit organization, dedicated to helping the caregivers of dementia and Alzheimer’s patients. We support both family caregivers and professional caregivers. The Alzheimer’s Research Association relies on the generous donations of our members and visitors to keep our staff researching the best quality information and bringing caregivers the essential support programs and services they need. Are you making a one-time donation or a monthly donation? Your ongoing monthly donation will provide vital support to the Alzheimer’s Research Association throughout the year and will help to decrease our fundraising costs. I would like to direct my donation towards alzra.org "Respite Care Programs" I wish to direct my donation to Funding for Cure I wish no designation; please apply my donation to wherever it's needed most. You may also specify a recipient to be notified of your honor or memorial gift. Please fill out the name and address of the party you would like notified of your generous donation.